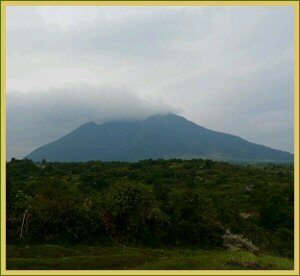 Being the tiniest national park, Mgahinga protects the Ugandan part of the 'Virunga mountains; a vary of extinct and active Volcanoes that straddle the border. A tropical woodland, much of the lower slopes are depleted by the encroachment of farms, however, the bamboo and alpine forests stay mostly intact and provide refuge to visiting Gorilla gorilla teams from neighbour Congo and Rwanda. These gorilla teams often 'pop in' and take temporary residence for a couple of months at a stretch. The following primates are also available within the park, the Blue Monkeys, Black & White catarrhine, leopard, forest elephant, and giant forest hog similarly as varied species of birds. This park is a famous refuge for 'Gentle Giants' Mgahinga is additionally a favourite with hikers who return to explore the numerous caves and also the 3 volcanoes, which lie partly within the park's borders. Mountain gorillas form the most attraction at Mgahinga national park, that protects the Ugandan portion of the Virungas, an imposing string of 9 separate extinct and active volcanoes that run along the board with Rwandese Republic and Congo. This park shares boarders with Congo’s Parc National des Virunga and Rwanda’s Parc National des Volcans.